In today’s day and age, we are hit with so many types of marketing and advertising that we may not even notice all of them. When it comes to digital marketing, there are online and offline campaigns, and trying to see how these types of marketing are working for your company is extremely difficult. But how can I track my results, you say? Simple. 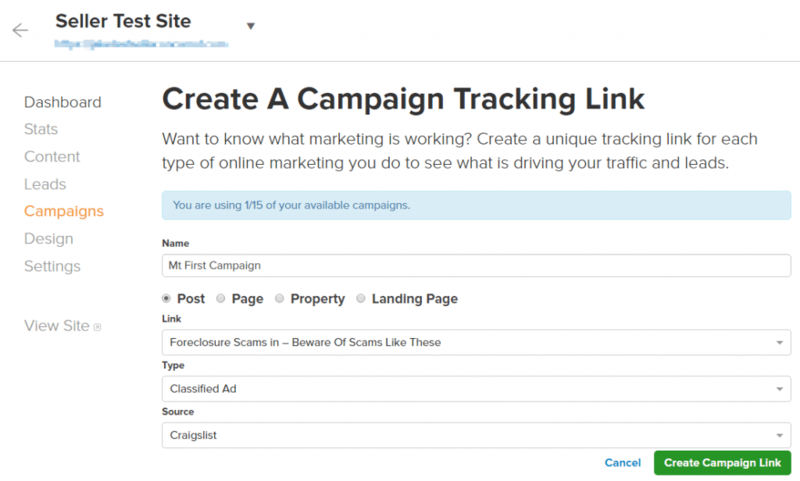 One fantastic way to track your results is to use our Campaign Tracking links included with your account. This simple feature can link your marketing practices to Carrot and give you the data you need to support an idea or switch gears to try something else. First, go to your site’s Dashboard, then click on Campaigns. Here, insert a name for the campaign, the type of page on your site it will be going to, the type of ad being used for your campaign, and the source. Click on the Gear icon on the right, then click on Archive Campaign. Here is what it will look like after being all setup. Content Pro Members: View our in-depth Coaching Call on this feature here!